CLOUD E-RECRUITMENT SOFTWARE TO OWN! Own in-house your own Cloud Recruitment Software, including it’s IP, for your local, national, or global organisation, and it’s incredibly affordable for a complete system fully setup ready to use! ASAP e-Recruitment Software will automate all of your recruiting administration, enabling you to find suitable applicants for your vacancies quickly and efficiently, saving time and costs across your whole organisation. ASAP Recruit’s readymade recruitment software option is a standalone e-Recruitment cloud solution for any organisation to fully own in-house for greater internal data control, further customisation, integration, and cost savings. 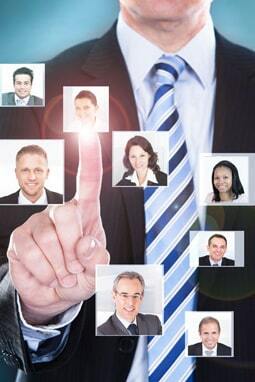 You can have your own Cloud Recruitment System up and running in 7 days, for further information please contact us. Own it for your secure HR needs in-house! Integrate it into other systems! Further customise it to meet your specific operational needs! Add on a new service and onsell it to your customers! Start your own Recruitment Software business! Standalone software often called Readymade software is a considerable cost effective and a much quicker way of establishing a fully owned in-house software solution, without the headaches of extensive development time, debugging, and expense! Purchasing a software solution that has already been built and industry tested over many years can save an organisation significant costs and thousands of hours of development time. Save 10,000+ hours of development time! Be up and running in 7 days! Instantly provide an online recruitment solution to all of your offices, globally! No more ongoing SaaS costs! No ongoing tether to an external provider! Greater internal security and control over your data! Add an additional asset to your business! We can also show you how to save tens of thousands in costs and a 20x plus ROI, which all goes straight to your bottom line! Whilst our online cloud SaaS e-Recruiting software is cost effective for any sized organisation to quickly access a recruitment solution, many organisations prefer managing and owning their software in-house, for increased security, control, cost advantages, and to further customise it to meet their operational needs. ASAP Recruit can provide their standalone, readymade e-Recruiting software for a customer’s full ownership, control and further development. This will deliver a fully operational Cloud recruiting system throughout their whole organisation quickly, saving thousands of hours of development time. ASAP Recruit has also partnered with Already Built in Sydney, who are a specialist in B2B software solutions to assist the implementation with customers where required.